Resilica is manufactured using up to 100% recycled waste glass, reducing landfill and destructive stone quarrying. Resilica is produced using solvent free resins. Once cured these resins are totally inert and contain no VOCs. Water used in the manufacturing process is recycled where possible. The manufacturing process is a ‘cold’ one, with minimal imbued energy. Every piece of Resilica is cast to order to minimize manufacturing waste. Equipment used during manufacturing is cleaned using bio-degradable solvents. Eight Inch Ltd sources consumer, production and manufacturing waste glass from the UK. Resilica is manufactured entirely and exclusively in its UK factory thus minimising the carbon footprint associated with imported surfaces. 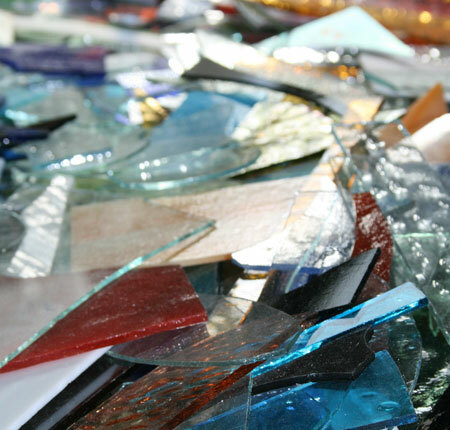 Resilica recycled glass worktops have a proven track record of over 10 years. Resilica recycled glass worktops benefit from the improved structural integrity of being solid all the way through. We do not use cheaper fillers or plastic cores. Resilica is produced using a superior grade resin system which was scientifically developed for Resilica to ensure it's strength and durability. Resilica has been independently validated by 14 British Standard tests. Resilica is available in an infinite range of colour options. Resilica worktops have a highly polished easy to clean surface which requires minimal maintenance. Resilica has a very high resistance to staining, scratching, chipping, heat and chemical attack. Resilica can be antimicrobial if required.